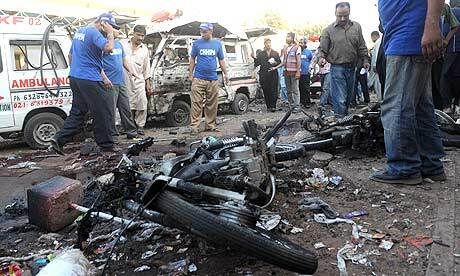 On Friday, a series of bomb blasts struck Karachi, killing at least 25 people and wounding more than 70 others. The first attack occurred Friday afternoon, when a motorcycle rigged with 15 kilograms of explosives detonated next to a bus on Shareh-e-Faisal carrying Shias to a religious procession marking the end of Muharram. Less than two hours later, “a second explosion was heard outside the emergency ward of Jinnah Hospital where the injured were being shifted,” reported Dawn. Bomb disposal official Munir Sheikh told the news agency the bombing was also caused by explosives strapped to a motorcyle in the hospital’s parking lot. News agencies reported that another bomb was also recovered and defused from Jinnah Hospital. According to Express 24/7, 25 kilograms of explosives was planted in a a computer “box,” which was later identified by security personnel present at the hospital. 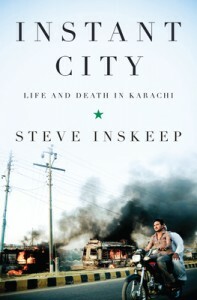 Given that previous attacks have sparked riots in Karachi, officials in the city immediately appealed for calm following the bombings. Waseem Ahmed, the Karachi police chief reportedly urged Shia mourners to carry on peacefully with their processions in other parts of the city, and Karachi’s mayor Mustafa Kamal was quoted saying, “Innocent lives have been lost, but people should not lose patience and kindly stay peaceful.” Express 24/7 spoke to other officials of the MQM, including Farooq Sattar, who pledged that the victims’ families would each receive 500,000 Rupees and the injured would receive 100,000 Rupees. The party also called for three days of mourning following today’s attacks. It is therefore impossible to pinpoint one group given the blurred lines between Pakistan’s militant and criminal groups. While the sectarian nature of Friday’s bombings bore a resemblance to December’s suicide bombing in Karachi, I wonder whether the recent [and still unconfirmed] death of Tehreek-e-Taliban chief Hakimullah Mehsud have spurred “revenge” attacks similar to those following the death of Baitullah Mehsud this past summer. Yesterday, Karachi, Lahore and Islamabad were all put on red alert, with reports that 10 suicide bombers had entered Karachi (only two had been caught). We may not be entirely certain who was responsible for today’s attacks, but it is nevertheless horrific that they could happen at all. If all three cities were placed on red alert yesterday, was there not more that could be done to prevent today’s deaths? The targeting of Shia pilgrims as well as a hospital is not only tragic, but frankly also sickening. 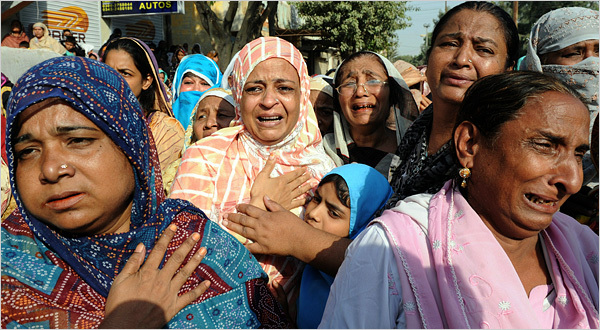 Is nowhere in Pakistan safe or untouched anymore?